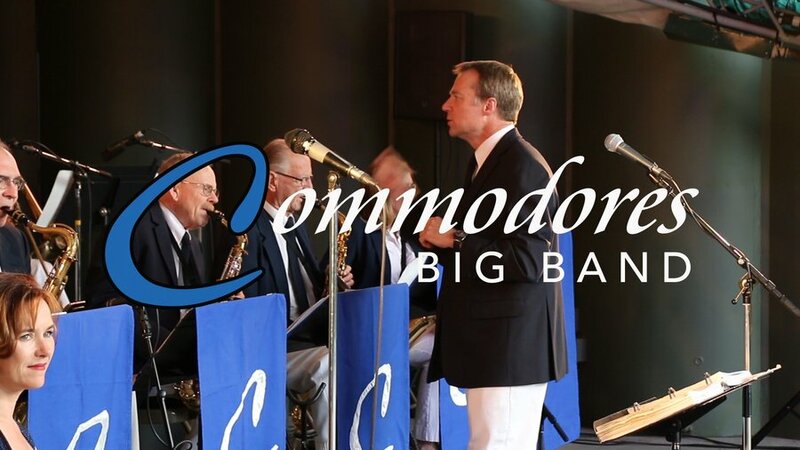 The Commodores Big Band has been playing shows and dance events in Victoria since 1975 when they were called the Coppertones. The Commodores Big Band name was chosen in 1984 to reflect Victoria’s nautical history. The band, with over 1000 tunes in there library, play a hugely varied repertoire of music suitable for dances and stage shows. They are well known to ballroom dancers with gigs at the Butchart Gardens, Empress Hotel, Crystal Garden, Leonardo Da Vinci Centre, Langford Legion, the Edelweiss Club & Goverment House Garden Parties; performs regularly on stage at the Saanich Strawberry Festival, and for weddings, anniversaries and conventions at clubs, halls and private residences all over the Greater Victoria region. The band has a reputation for its committed and talented personnel, and consistently fine performances. They embrace a spirit of enthusiasm, drive and professionalism that has determined its success, longevity and popularity with fans of all ages. The band’s talented vocalist Kim Greenwood, a native Victorian, is a successful multi-genre artist including jazz, pop, musical theatre and classical. She has performed with many groups across the country, created ensembles and has produced shows including the highly successful "Ella at 100" tribute in 2017. Kim has been on the voice faculty of The Canadian College of Performing Arts since 2012. Band leader Mark Fraser is a former school band teacher, now an assistant superintendent in SD 63. The band has benefited from his inspiring leadership since 2005.